Provides 15 or 30 liters/hr of purified water at a price that is comparable to compliant purified bottled water without the hassle of continual ordering and storage. The SMART 15/30 is cost-effective and is more environmentally friendly than traditional distillation units. The unit’ s compact size allows it to be positioned on or under a bench, wall mounted or fitted into a cabinet. 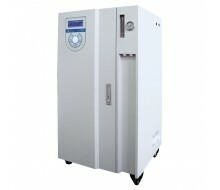 Cost-effectively provides 50,100,150 liters/hr of compliant purified water. 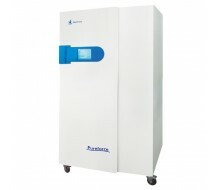 The SMART 50/100/150 ensures a continual supply of purified water for installations such as single washer disinfectors and endoscope reprocessors. Copyright © 2017 Heal Force. All Rights Reserved.